The importance of being prepared is something we’re taught from an early age. Staying organized is one of the most basic elements of becoming a successful adolescent. From not waiting till the last day to write that five-page essay on molecular biology to saving up enough money to take your high school crush out on your first date; having a plan is a key component of garnering independence and self-identity. And it doesn’t just shape our lifestyle, but builds confidence and snowballs our success to help spawn the future we’ve always envisioned. However, as we grow up, mature and adjust to “real world” circumstances, sometimes having a plan is irrelevant. Life can take an abrupt turn at any given moment, leaving even the most organized in chaotic disarray. Natural disasters, death of a loved one, loss of job, and even the letdown of a friend can be insurmountable to predict—and heartbreakingly strenuous to remedy. Yet if there was one unforeseen circumstance we were most likely to constructively control—how to properly handle unexpected expenses and financial emergencies may be the most manageable. Although tempting, many of today’s loan agencies are luring you right into harm’s way. Sometimes even the sexiest of offers can produce the most catastrophic of effects. That’s why a thorough understanding of the lender’s terms and conditions is a fundamental process of obtaining successful economic assistance. ‘Judging a book by its cover’ is the worst course of action to pursue, which can leave you having to pay ‘an arm and a leg’ when it’s all said and done. Fortunately, there are places where you can quickly approve a personal loan without having to face the wrath of corporate greed and manipulative sale’s tactics. Having to ‘spend money to make money’ is without a doubt, a mandatory mentality when considering an investment. However, in dire situations, having to forgo an investment plan may be the most constructive source for containing a financial loss or need. Spotting your “underperformers” has its distinct advantages, such as tax breaks and the peace of mind of losing an investment that’s weighing you down. 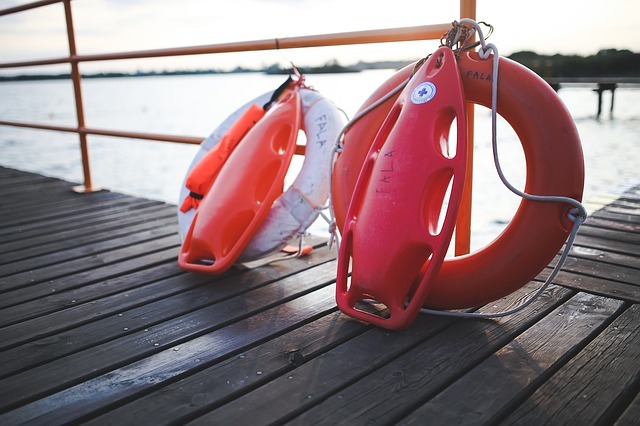 In many cases, it may simply be too early to tell whether or not an investment is profitable, but by employing this strategy, you can efficiently “take care” of an emergency you may not have an opportunity otherwise. It may come as a surprise to learn of the sheer number of people who are unaware of the expenses they are actually responsible for. For example, whenever something needs to be repaired or replaced—many assume it’s “you” who needs to find the funds to fix the problem. Tenants of property owners are often misguided in these circumstances, where it is very well possible that your landlord may be the one who is obligated to pay for it. So, before panic ensues, remember that there is a strong possibility that an unexpected expense may not be of your concern. Now this method of financial planning may seem simple enough; however, many individuals fail to participate in such economic preparation. By dedicating a small sum of money from your income into a separate account that is solely used for the purpose of emergencies, you grant yourself with a plethora of advantages. But not just benefits associated with money, but also the psychological compensation of knowing you have the funds available to pay for an emergency. Sometimes the answer is so obvious, we fail to see it even when it’s starring right at us. The birth of the Internet give us the opportunity to efficiently sell unwanted goods with seemingly a touch of a button. By utilizing the various online platforms for selling goods, anything obtainable is now profitable. If you believe your “goods” are little to no value to your community members, your “junk” may be. Survey your garage, backyard and basement and search for any unused metals. Visit your local salvage yard and reap in the rewards.